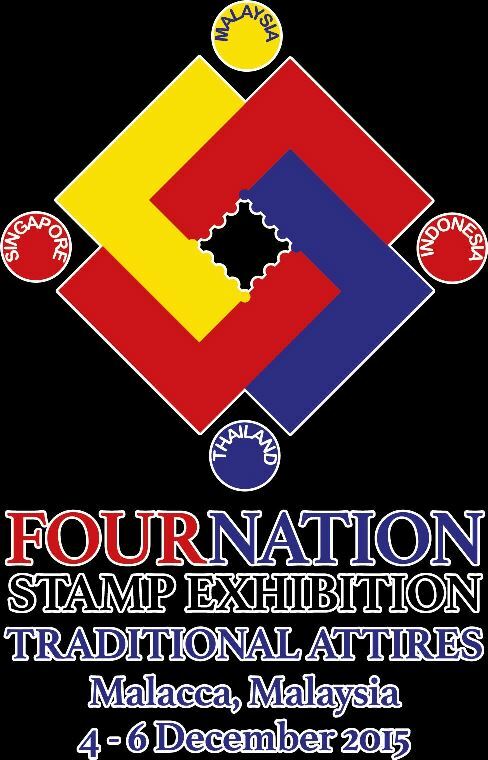 The next issue will be released during the Four Nation Stamp Exhibition. The current information puts the topic as Traditional Attires. There will be 4 stamps of 60 sen with 4 different attires of the 4 nations and a Miniature Sheet of RM 3 with the 4 stamps as the design. 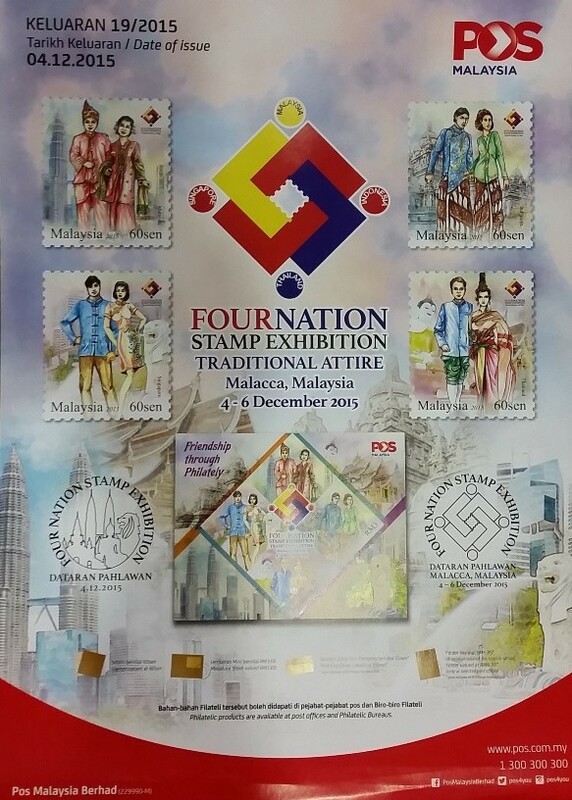 The Four Nation Stamp Exhibition runs from 04 – 06 December 2015. The venue is in Dataran Pahlawan, Melaka and the opening times are from 10:00 am to 10:00 pm. As of today, the news is that there is only the first day of issue cancellation by Pos Malaysia. No firm news on the other postal administrations’ attendance in the exhibition. Here is the poster. Well…as usual subjected to changes up to the date of issue. I will keep you updated once something firmer is released. The latest announcement has it that the Miniature Sheet will only be available at the exhibition site. SODA members will get it. However there is no information if it will be standing or mail order. Thus far, only Pos Indonesia is joining the exhibition. A few other regular dealers will attend – come over and check it out! stamps and miniature can be purchase during 04-06 DEC 15 or only the first day (04 DEC 15) ? Hi! The stamps and MS can be purchased throughout the event in Melaka. However from past experience, the stocks are limited and the queues are long. It is safer to buy from your nearest philatelic bureau and then drive to Melaka. This is because the bureaus will sell at 08:30 am whereas in Melaka, the event is open from 10 am and there is usually some opening speeches. So do not expect to be able to buy so early in Melaka. Hope this helps you to plan. Thank you for your reply. 🙂 really appreciate your advice.